To the untrained nose, candle shopping in Paris might seem like a no-brainer. But with so many diverse and intoxicating scents to sniff, from honeyed tobacco to Mexican orange blossom, it’s difficult to know where to begin. Here’s a handful of our top recommendations, so you can come up smelling of roses (or maybe lavender – whatever your preference). Let us provide some aromatic inspiration for your Thanksgiving and Christmas gifts or decorations with our Black Friday sale fast approaching. Not so much candlemaker as candle collective: L’Atelier de la Bougie is a one-stop-shop for the coolest bougies (candles) in town. 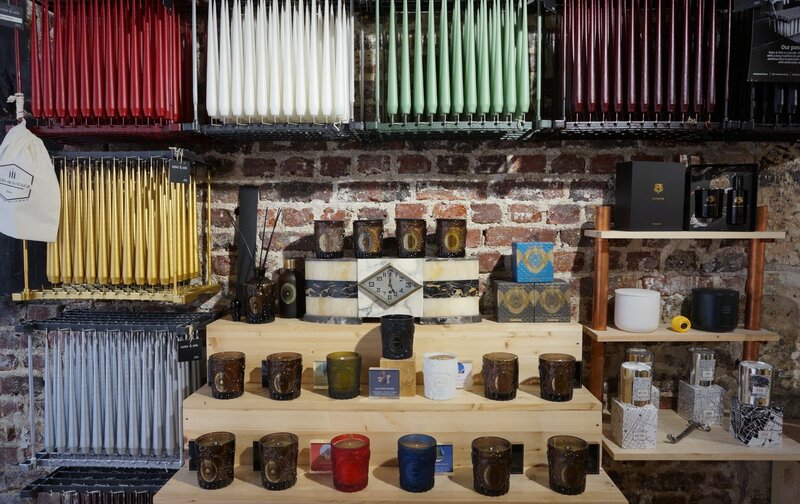 This discerning boutique in Montmartre exhibits a diverse and innovative selection of natural wax and soy candles, including niche brands produced in France such as Kerzon, Made in Paris and Moamo. You’ll find every imaginable fragrance here, from the essence of well-heeled Place des Vosges to the earthy and fruity aromas of merlot wine. Staff are highly knowledgeable and keen to advise, which doesn’t hurt – the selection is overwhelming. You’ll have plenty of festive candles for your grand apartment and for gifting friends and family. 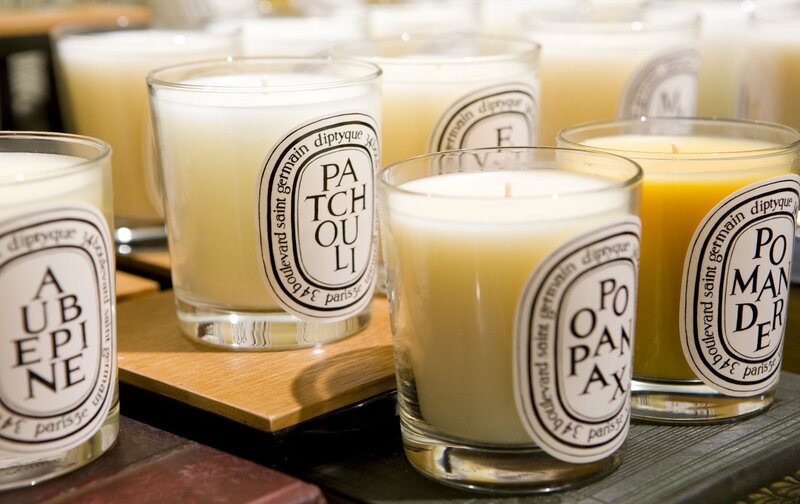 A household name in the world of luxury scented candles, parfumier Diptyque are well-versed in creating beautiful fragrances which are delicate yet complex. Visit their original boutique in Saint-Germain where they have been since 1961, and you can buy their first ever candle, Aubépine. 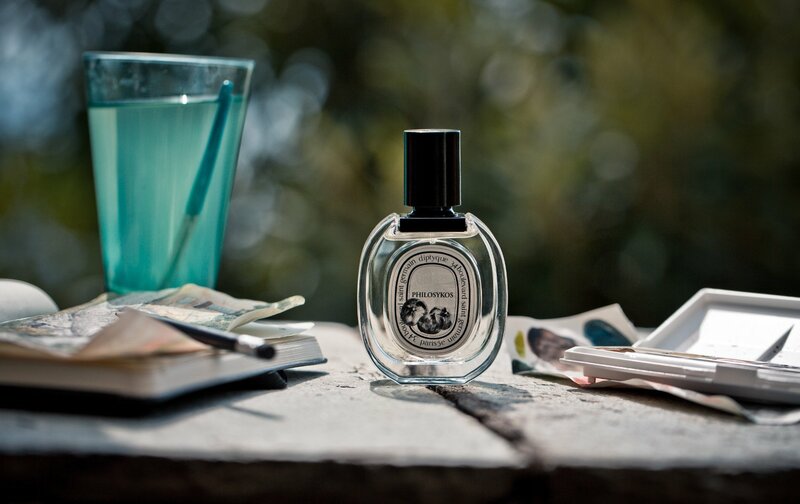 It’s a well-rounded scent, sweet but fresh with notes of almond and vanilla, available exclusively in store. The 46 assorted fragrances are grouped by category – floral, herbaceous, fruity, spiced, and woody – each with their own seasonal appeal. Don’t worry though, the only wrong choice here is to leave empty-handed. 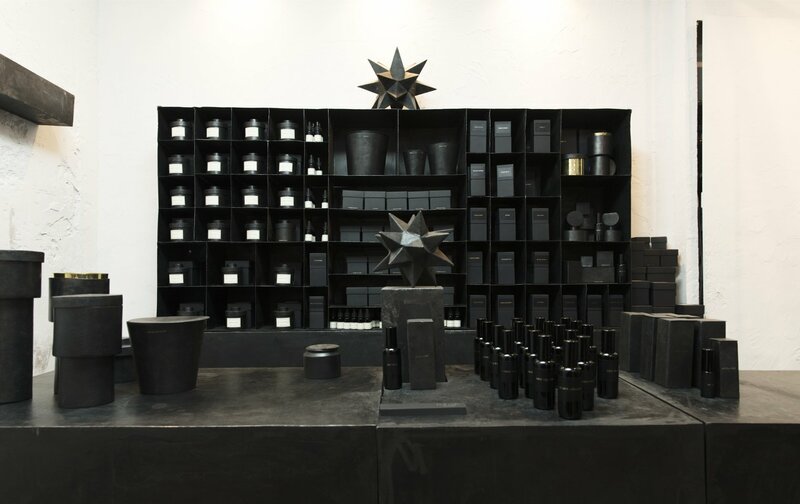 You’d be forgiven for not recognizing Mad et Len as candlemakers from their minimalist store in Galerie Vivienne. This voguish Spartan interior reveals only blackened iron pots along a workbench, which inside contain artisanal vegetal candles featured at Paris Fashion Week and in GQ. The fragrances themselves are equally austere, you won’t find any saccharine fruits or artificial florals here. Instead, think more savory and mineral – elemental, even, with scents of fire and earth and volcanic rock. Their signature black metalwork is an investment: you can refill them and reuse around the home and they are authentic, sustainable and impossibly chic. Known as the oldest candlemaker in Paris, Maison Trudon has royal connections to the court of Louis XV and its experts understand the historic art of candling like no other. Their original, Left Bank boutique is an aristocratic display of stately wax busts and royal blue or mossy-green glass votives emblazoned with a signature golden crest. Classical music plays majestically in the background as you breathe in the scents of woody cognac, tea and vetiver, and Versailles’ wooden floors. A niche perfume house with a distinctive creative vision, L’Artisan Parfumeur, is responsible for a refined selection of candles which are well-balanced yet precise. There’s no mistaking their exquisite orange blossom or wild blackberry, each smells exactly as it should. Other fragrances include amber with notes of patchouli and tonka beans, and the gently intoxicating tea and spiced bread. 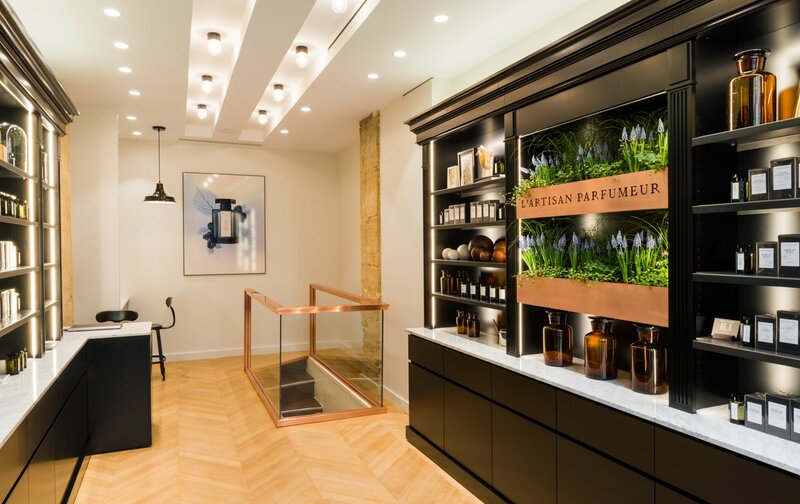 L’Artisan Parfumeur has a couple of locations around Paris, but their Saint-Germain store is open daily. 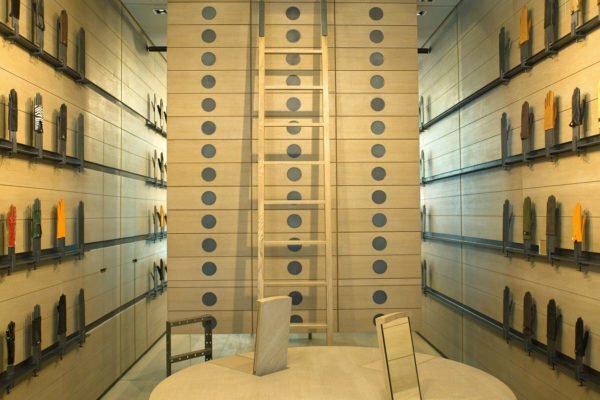 Want more useful hints and tips on shopping in Paris? Try one of our exclusive private shopping tours offering expert advice which can be tailored to suit your needs. Avail of our current apartment sale if you are planning a shopping trip for Les Soldes. Contact us today to check our fantastic deals. Posted on Tuesday, November 21st, 2017 at 9:57 am in Shopping. You can follow any responses to this entry through the RSS 2.0 feed. You can leave a response, or trackback from your own site. 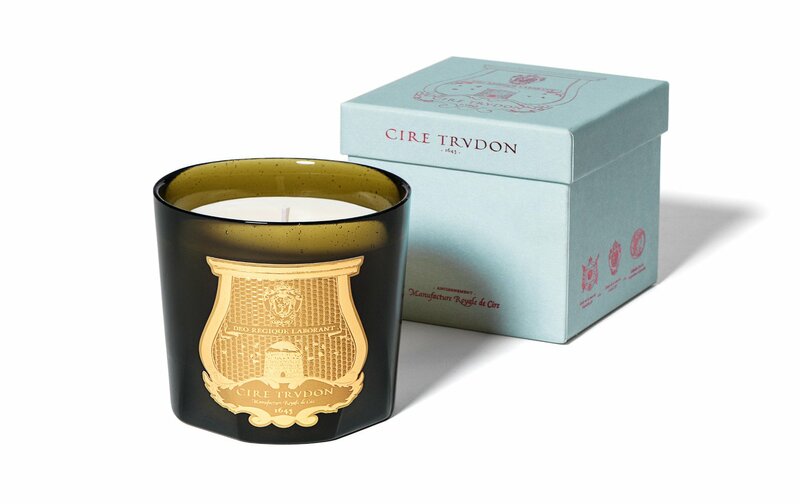 Cire Trudon – The Oldest Candlemaker in Paris 6 Luxurious Perfumeries in Paris – Find Your Signature Scent! Five Christmas Gift Ideas From Paris It’s Starting to Smell A lot Like Christmas!